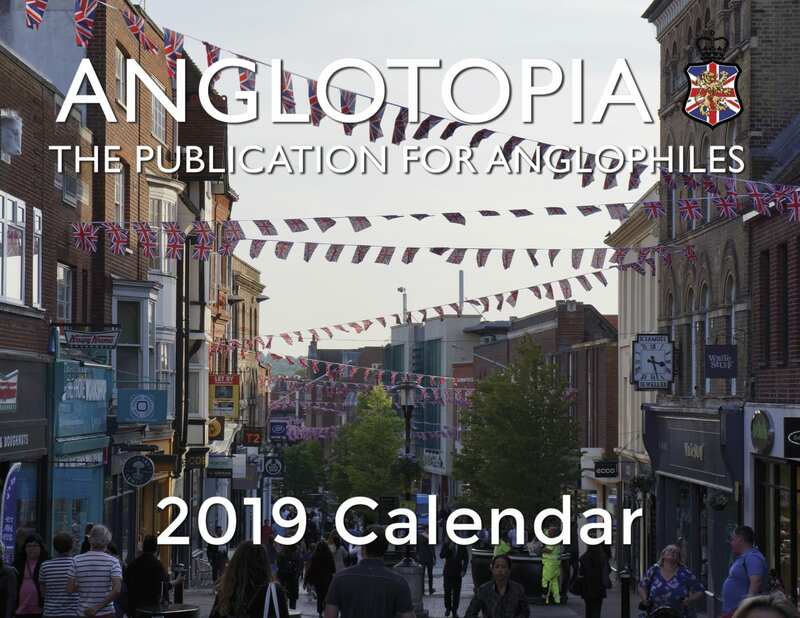 The official Anglotopia Calendar for 2019! 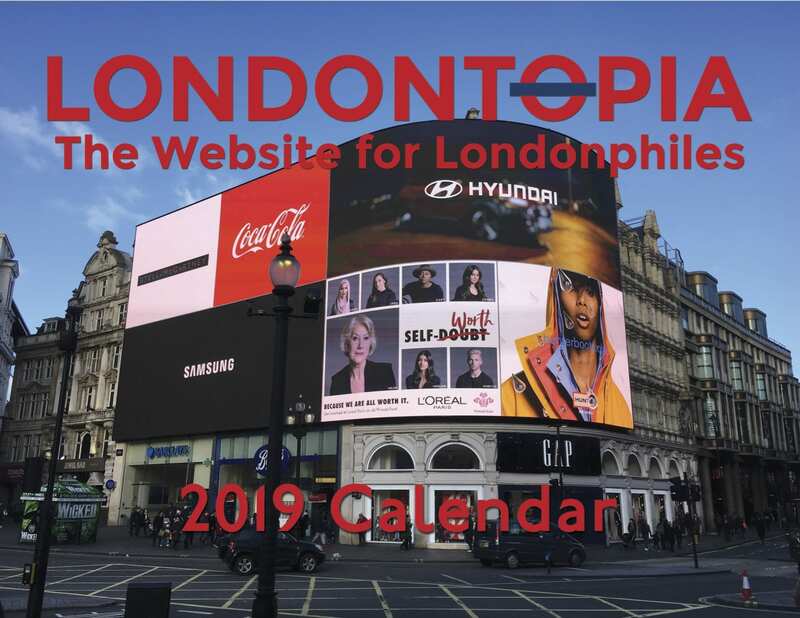 It’s that time of year again – time to begin selling our 2019 Calendars Fundraising Drive! The hardest decision we have to make every year is choosing the 12 best images from our archive for each calendar. 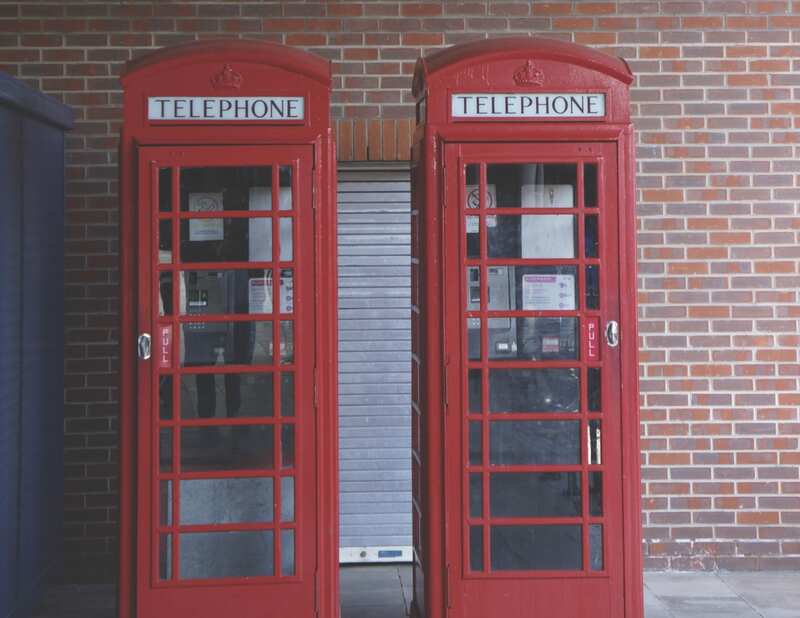 Each month features one of our favorites images of England – ones that we’ve taken ourselves, many in the last year during our travels. 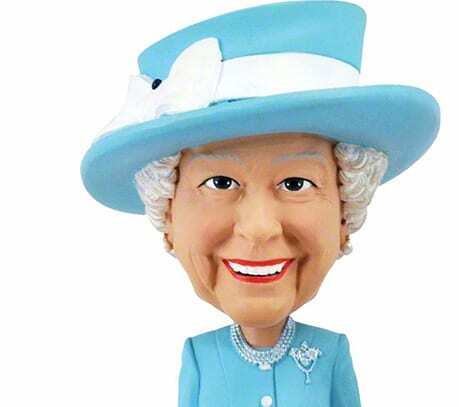 Things have not gone so well for Anglotopia in recent times – mostly due to a decline in traffic from Facebook (it’s complicated) that has lowered advertising revenue – along with people using ad blockers. 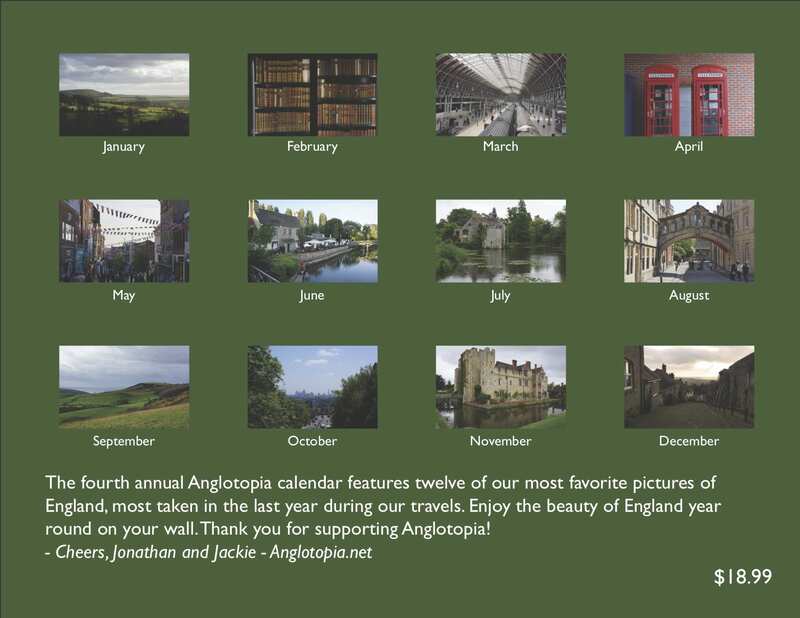 So, all proceeds from this calendar will help offset our advertising losses and fund Anglotopia’s continued operations. The yearly calendars have become one of our most important fundraisers. THIS IS A PRE-ORDER: The Calendars will ship in October, plenty of time to ship for Christmas. These calendars will make a great gift. We need to sell as many in advance as possible, we won’t get too many extras printed, so if you want one, we recommend ordering now. WE ALWAYS SELL OUT! The layout for the calendar has changed slightly based on the feedback from previous years. 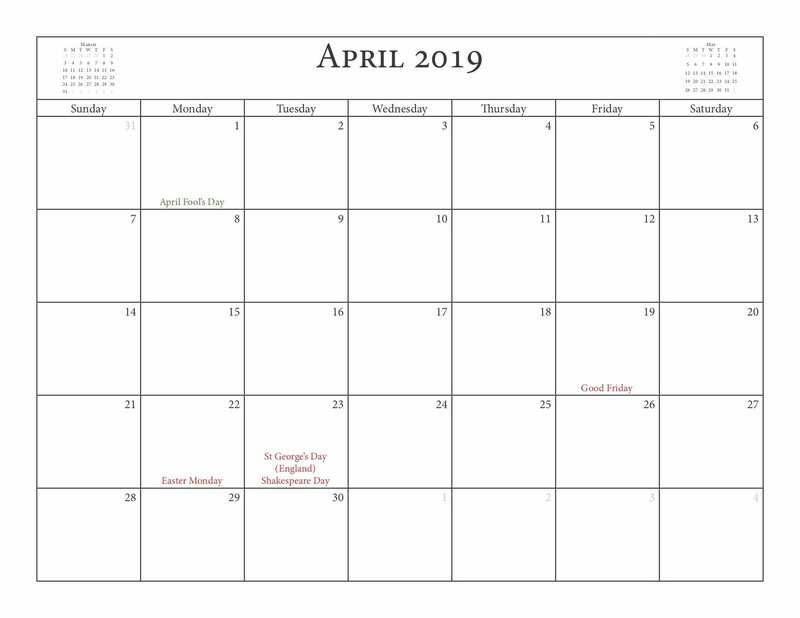 We’ve added mini-calendars to the top of each month so you can see the months before and after. We’ve also lightened the pictures so they don’t appear so dark when printing. It’s a traditional US style Calendar the features US Holidays but it also features important UK holidays as well (US in Green, UK in Red). The calendar measures 11″ by 8.5″ so it’s a good size (the pictures are in landscape). It’s saddle stitched, perfect for hanging on the wall. It will be glossy and look like a calendar you’d get anywhere else.